We had Trick or Treat tonight so I have some pics to share! 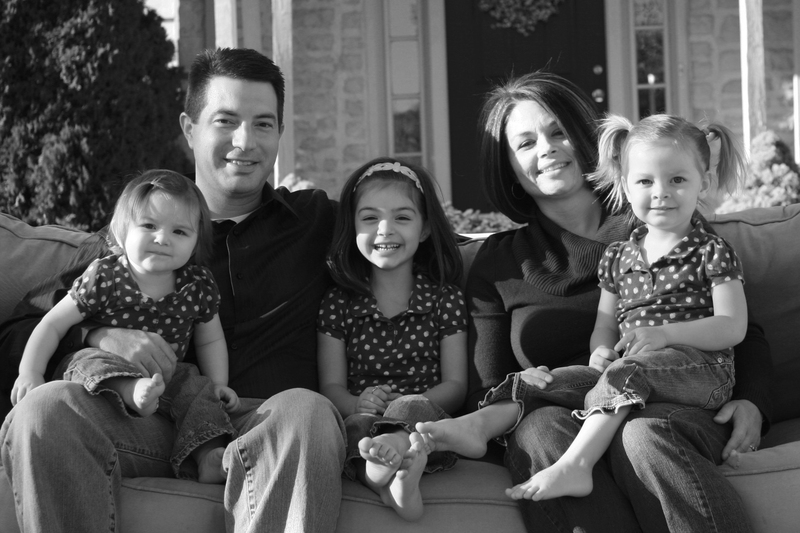 Here’s Leah and Kami with the neighbor girls – Megan and Emma. 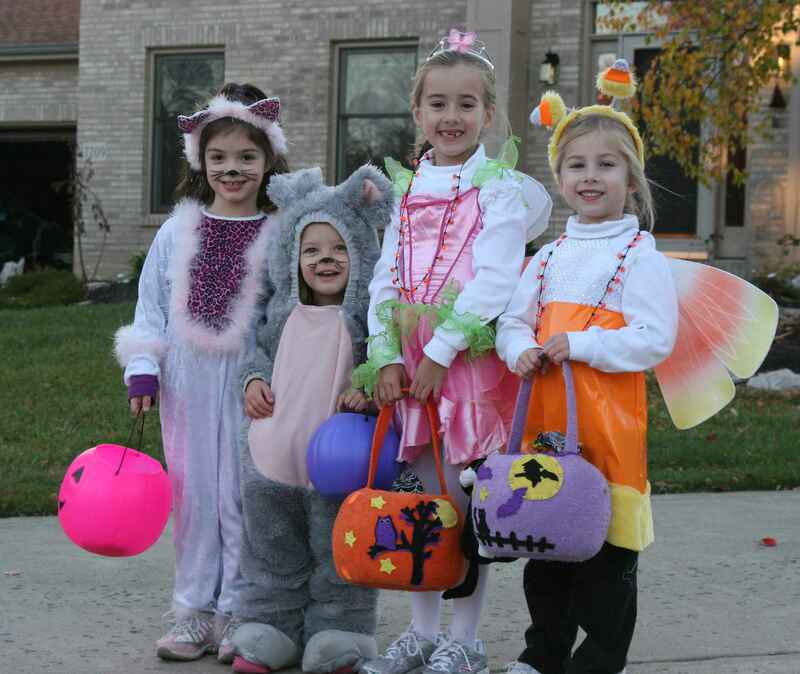 A cat, mouse, fairy, and candy corn. Too cute! 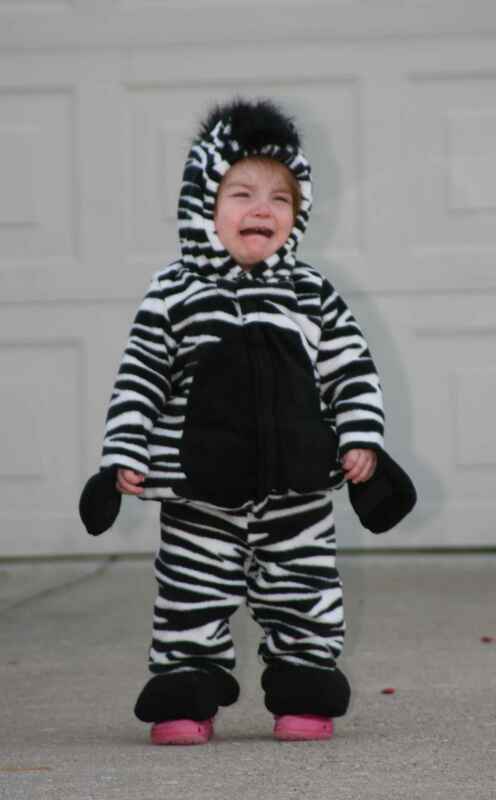 How about a mad, crying zebra. Poor Brookie…she didn’t want Dad chasing after her. 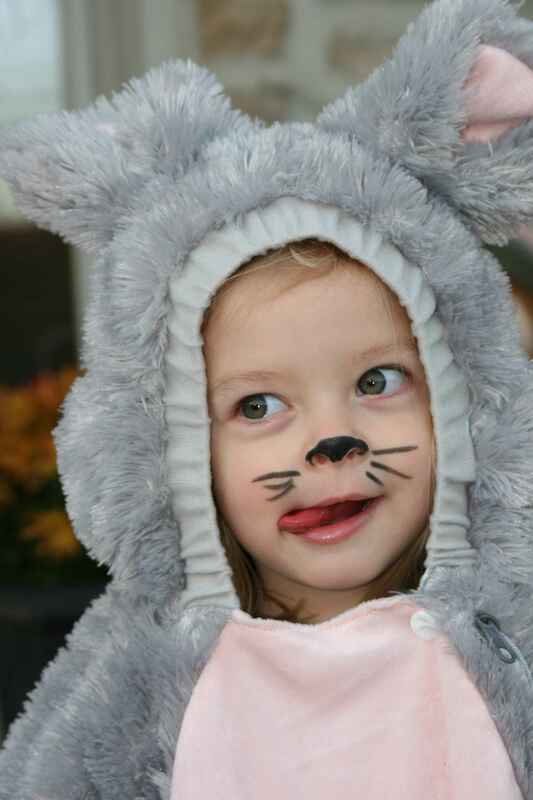 Here’s a cute little mouse licking her chops…gotta get that sticky sucker off her lips. 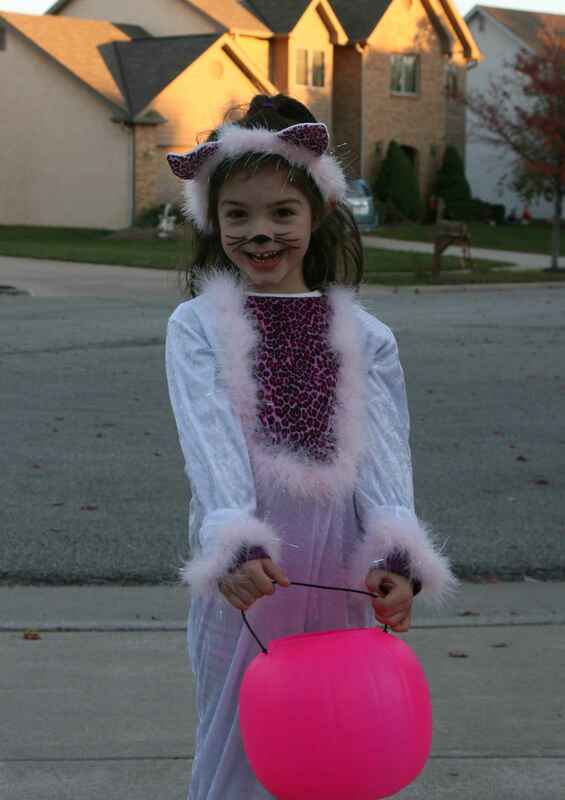 And a cute, bashful cat that has to have pink, fuzzy fur and pink/black leopard print on her costume. Me and the peeps. Leah was excited that Mom dressed-up (a little) this year. I couldn’t wait to check your blog today for pics! If she needs more candy she is welcome to come with us tonight! you all look great! !…the face on the zebra….priceless! so cute! 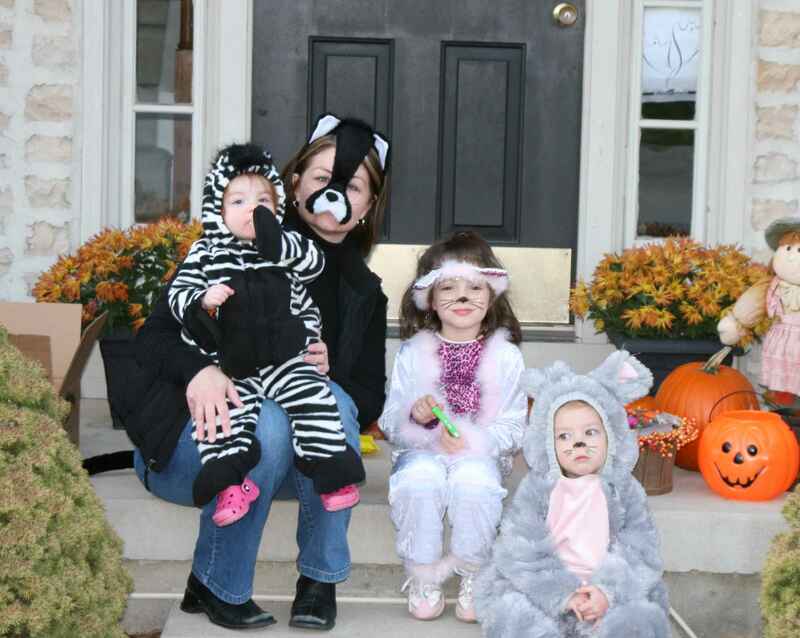 i thought i was the only mom who dresses for halloween…..good to know i am not alone! have a happy halloween! jen t.